The HP MSR900 router series is a component of the HP FlexBranch module of the HP FlexNetwork architecture. 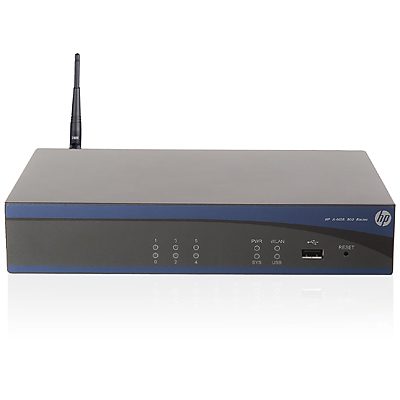 HP MSR900 series routers deliver integrated routing, switching, security, and 802.11b/g wireless LAN in a single box for secure, reliable small branch connectivity. These routers are perfect "branch-in-a-box" appliances that deliver converged network solutions, including data, voice and video, IPv6 support, and robust Quality of Service (QoS), and help ensure that they can handle both current enterprise networking applications as well as the future connectivity and capacity demands of an HP FlexNetwork architecture. Additionally, a standards-based design provides complete interoperability in multivendor environments.